Maureen, the Practice principal, graduated from The West Australian Institute of Technology with a Bachelor of Applied Science (Physiotherapy) in 1974. She has worked both overseas and interstate. Maureen completed her Masters in Clinical Physiotherapy (Continence and Women’s Health) through Curtin University in 2017. Maureen has a special interest in women’s and men’s health including continence management, prolapse, pelvic pain and pre and post prostate surgery and ante and post-natal musculoskeletal dysfunctions. Maureen also has extensive experience in general musculoskeletal dysfunction, orthopaedic rehabilitation, sports, and occupational health. Maureen has been an Australian Physiotherapy Association member since graduation and served on the ACT Branch Council for a total of nine years. She has also been a member of the Registration Board. 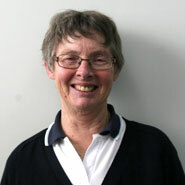 Maureen is currently also a member of the Continence Foundation of Australia. The practice is constantly evolving with all staff contributing through on-going professional development. When not working Maureen enjoys walking her dog, bushwalking and, camping with friends; reading, gardening and listening to music. Caroline has been part of the team at Maureen Bailey & Associates since March 2009. 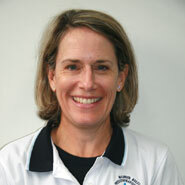 She holds a physio degree from Melbourne (1988) and a postgraduate degree in Orthopaedics/ Musculoskeletal form Adelaide. Caroline has been a member of the Australian Physiotherapy Association since graduation and is a member of the Women’s Health Special Interest Group. 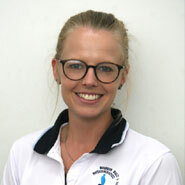 Caroline has extensive experience in sports therapy, musculoskeletal and ante and post natal areas in both the public and private sectors, including 10 years as the maternity physiotherapist at Calvary John James Hospital and time on staff at S.A. Sports Medicine Centre. Along with her orthopaedic musculoskeletal expertise and an interest in adolescent sporting injuries, Caroline’s special interests are in the areas of antenatal and postnatal education, pelvic dysfunction and abdominal separation. Caroline enjoys being able to offer continuity to manage any musculoskeletal problems from the antenatal period through to postnatal checks and assistance with appropriate return to previous exercise regimes. Outside work Caroline enjoys family life raising two teenage children, Pilates, yoga, tennis and getting to the beach with friends whenever possible. 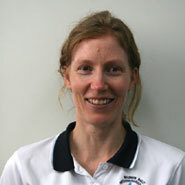 Esther obtained her physiotherapy degree in 2002, graduating from The University of Sydney. She has enjoyed working in several public and private hospitals around Australia, and gained further experience while working overseas in Ireland and Canada. Esther has many years of experience in the rehabilitation setting, assisting patients following joint and spinal surgery, multi trauma, or those with neurological conditions. She combines manual therapy with exercise rehabilitation to help people towards full recovery and ongoing self-management. Esther incorporates her Pilates training when developing exercise programs for a range of conditions. This is particularly effective for addressing lumbo-pelvic stability in pregnant mums, and those with back injuries or chronic low back pain. In 2017 Esther has expanded her professional knowledge and is now also treating women with continence, prolapse and other conditions requiring pelvic floor rehabilitation. When she is not working, Esther is busy enjoying life with her husband and 3 young daughters. They love travelling, camping, and being active outdoors. Liz has returned to working at Maureen Bailey and Associates after 16 years running her own Business in Woden. She graduated in 1981 then worked in rural WA for 9 years prior to moving to Canberra. Liz also spent 2 years living and working in the UK in the late 1990’s. She is a member of the Australian Physiotherapy Association and Sports Medicine Australia and more recently the ACT Orthopaedic Networking Group. 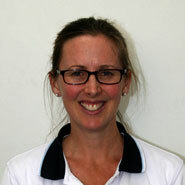 Here in ACT Liz works mostly with orthopaedic and musculoskeletal injuries. She works with post-surgical rehabilitation particularly shoulders and hips. She has worked alongside a shoulder surgeon over a number of years. She also enjoys helping people with tendinopathy, tendonitis and tendinosis and has worked alongside a surgeon dealing with gluteal tendinopathy (hip bursitis) and tendon repairs. Liz also has some sports physiotherapy experience and enjoys treating dance, gym, calisthenics and ballet related injuries and works with runners and orienteers. Liz and her husband Bruce are involved in and compete in Orienteering and Rogaining here in ACT. She has raised two young adults Scott and Katie along the way. Georgia graduated from The University of Canberra with a Bachelor of Physiotherapy in 2016. Georgia started with Maureen Bailey & Associates in January 2019 after gaining experience at both Calvary John James Hospital and The Canberra Hospital. Whilst working through the hospital systems Georgia found her special interest for Women’s Health Physiotherapy. Georgia is a certified pre- and post-natal coach and has undergone training to help better understand, connect with, serve and empower her clientele. She has a special interest in ante-natal and post-natal musculoskeletal conditions as well as pelvic floor dysfunction and incontinence. Georgia is a member of the Women’s Health Special Interest Group and the International Continence Society. Along with her Women’s Health expertise, Georgia has experience in working with orthopaedic client following hip and knee replacements and has also designed a pre-habilitation program with aims to reduce the need for surgery. She has undertaken volunteer work with the ACT Brumbies Squad and has a keen interest in sporting injuries and return to sport programs. Outside of Physiotherapy Georgia is a keen horse rider and enjoys spending time with her partner and 4 dogs. Joanne started with us in May 2009. Joanne has a degree in Human Movement (Sports Science) and subsequently completed her Physiotherapy degree graduating from Curtin University (W.A.) in 2005. She has both hospital and private practice experience in both W.A. and Tasmania including some sports coverage. Joanne’s interest lies in acute and chronic musculoskeletal conditions, the sportspersons injuries and she enjoys working with the geriatric population. She is passionate about holistic and preventative treatment strategies and encourages the role of exercise in recovery. Joanne’s current specific interests lies in headache management using the Dean Watson techniques and the shoulder (i.e. post-surgical rehabilitation), antenatal/postnatal treatment and education, and tendinopathy exercise regimes. 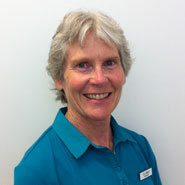 When not working Joanne is very active including rock climbing, bike riding and bush walking. Joanne returns to work two sessions a week in February 2018 after being on Maternity leave with her two young sons.